Since the discovery of the first liquid crystal in 1888 by the Austrian biologist Friedrich Reinitzer with the considerable assistance of the German physicist Otto Lehman, who in that time had been universally recognized authority in the field of microscope technique, thousands and thousands of liquid crystals have been synthesized among them nematics, short-pitch cholesterics and various kinds of smectics such as smectic-A and smectic-C. The smectic-A or smectic-C phases grow from a nematic or unwinded large-pitch cholesteric oriented in the middle part of the cells and from strongly-deformed nematic or unwinded large-pitch cholesteric layer in the boundary regions of the liquid crystal cells. These have two advantages. First, it shows the texture fitting between the surface and bulk alignment of the smectics, sometimes unknown, and permits in some cases the approximate determination of the surface energy of smectics and second, it is useful for application in the laser-addressed liquid crystal devices. On the other hand, the experimental results obtained with the smectic-C permit the evaluation of certain material parameters. This book includes the electro-optic behavior of the large-pitch cholesteric at a new, strong-weak or weak-weak anchoring as well as the hysteretic behavior leading to the appearance or disappearance of various large-pitch textures. One of the most interesting electro-optic effects, discovered in the large-pitch cholesterics, is the observation of polar unidirectional spirals under a DC voltage application. Finally, the book draws attention to the discovery of a new chiral liquid crystal with unusual electro-optic behavior composed from a mixture of a nematic and a ferroelectric smectic-C* liquid crystals. The authors of this book have experimentally studied the electro-optic dynamic hysteretic behavior of weakly-anchored twisted nematic layer as well. The flexoelectric deformations were identified except by additional application of a high-frequency orienting electric field and, qualitatively, by the simultaneous application of DC and low-frequency (several hertz) electric fields. In this way, for the first time, unusual amplification was observed of the low-frequency flexoelectric oscillations. The “gradient flexoeffect” can be realized not only by the accumulation of ions in the nematic layer, but also by inhomogeneity of the electric field, created by the geometry of the liquid crystal cell. 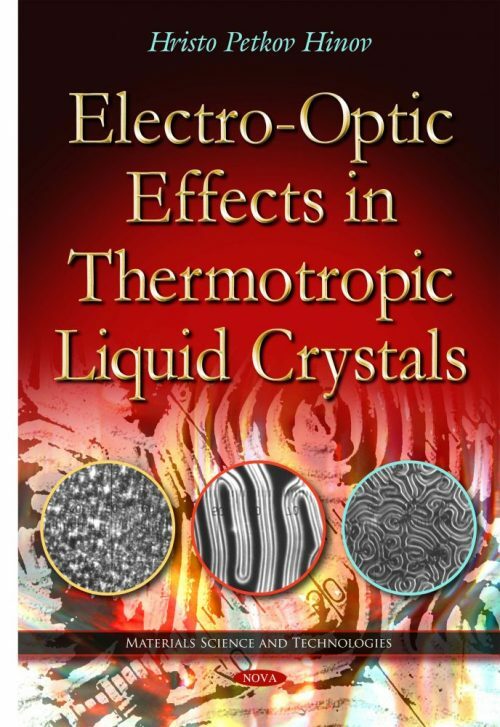 This book is written for both researchers in the science and practical applications of the liquid crystals.